Henry is currently in a temporary foster home. Henry lived with a cat in his previous home, but he is NOT good with other dogs in the home. 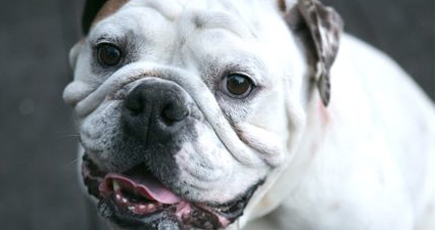 Henry is a three year old purebred English Bulldog. He was purchased from a reputable breeder as a puppy and has been very well taken care of his whole life. 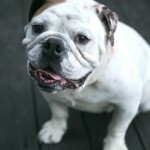 Subsequently he is in very good health for an English Bulldog. He does have a bit of premature arthritis in his left hip. 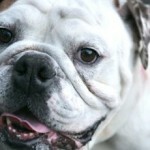 His ears, eyes and skin are in very good condition and he is a very happy smaller bulldog. He has the potential for papers, but his current owners never registered him. Henry is already neutered and UTD on shots. He knows how to sit and walks well on leash after the first 5 minutes. Unlike other EB’s, he doesn’t overheat too badly on walks and can go for longer walks than most. Like most EB’s he doesn’t tolerate extreme temperatures, and needs to be an indoor dog. Henry cannot be outside in extreme temperatures for long periods of time. Henry is crated at night, and will go in his crate when treated. Henry is very affectionate with people and craves attention. He lives with a cat and does well with him. He also lives with a small child and is very good around him. 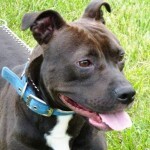 He however does NOT do well with other dominant dogs, and would do well as an only dog. 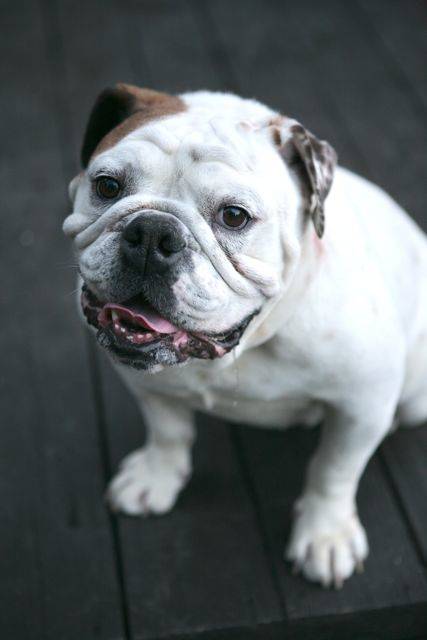 Henry is being rehomed because of his inability to get along with the other bulldog in the house. His current owners want him to go to a house with a fenced in yard, so please apply only if you have one. Henry is a very good boy who will flourish with strong leadership and obedience training (and lots of love). Henry loves to eat, yep, he’s one fabulous eater, so care must be taken in portion control and feeding around other animals. He loves his walks and going on car rides. He’ll try to nap on the couch, but with a little training can be kept off the furniture if that’s what you prefer. He loves hard bones and toys but will not do well with rawhides. Even though he’s in good health, English bulldogs require extra grooming needs and attention. Bulldogs can also be expensive to care for so please do your research on the breed if you’ve never owned one. 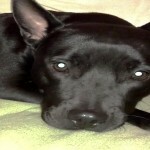 If your willing to invest the time, energy and money, Henry will be a fabulous companion for you! Fill out an application at mabbr.org if you think you meet his requirements and he may meet yours. Henry’s adoption fee will be $300, and will go to the best possible applicant. Thanks for your time!